Adelaide’s PlanB have been getting out and about in recent times, including much overseas touring, but many may not realise that the band have been a going concern, in some form or other, for 36 years now. Peter Flierl formed the band in 1982 from the ashes of Del Web Explosion and for a good couple of years PlanB, inspired by the soulful punk sounds of the UK’s Dexy’s Midnight Runners, shone brightly on the Adelaide scene. “We took our name from Dexy’s song, Plan B,” Peter begins, “which Del Webb used to do. And, when I look back, PlanB did a lot of gigs. We kinda became flavour of the month out at Pooraka’s Bridgeway Hotel and we’d often find ourselves there supporting a lot of interstate touring acts. “So we were playing a lot and we did Ponde once too,” he then says of the infamous biker festival up near Murray Bridge. 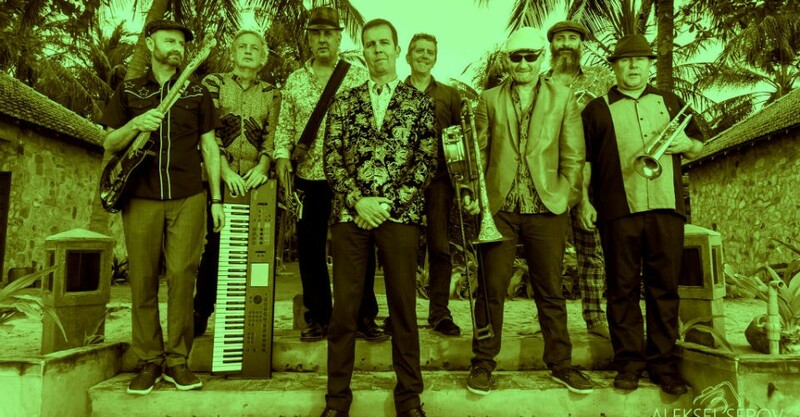 The band – currently Peter alongside Patrick Stapleton, Rob Williams, Cameron Smith, Adrian Miller, David Robinson, Peter McIver and David Lloyd – will soon be heading overseas yet again. Peter has spent time in South East Asia, so I wondered if that had helped set up tours to that region. “Some of it comes down to that, yes,” he says. “My wife, now an Australian citizen, is Chinese so that has been a great help too. But, yeah, when I was living over there I was playing in bands and mixing with lots of the local musicians. PlanB are also working on a new album for release later in the year. “We are in the final throes of putting down the first four songs at Sody Pop Studios,” Peter reveals. “And we’ve given Brett [Sody] at Sody Pop a fair bit of license in regards to the direction of the sound. It’s a bit of a departure from our last two albums, but still has the signature PlanB brass sound with a slightly harder edge. PlanB performs as part of Beatles Vs The Stones, presented by Jim Sharman International, at Governor Hindmarsh Hotel from 7.30pm on Fri 20 Jul. Book at Oztix or thegov.com.au. Click HERE to purchase your tickets. PlanB also perform at The Gov Front Bar from 8pm on Sat 28 Jul. Free entry.